The Markets in Financial Instruments Directive, or MiFID II, which goes into effect at the beginning of next year, expands the requirements to include legal entity identifiers (LEIs) in trade reporting to European regulators. To assist firms preparing for this MiFID II mandate, the GMEI utility, an LEI service owned and operated by a subsidiary of The Depository Trust & Clearing Corporation (DTCC) has amended its current pricing structure. * As of June 1, 2017 the GMEI utility will offer the same best-in-class LEI services at a lower cost of $100 USD per registration and $80 USD per renewal. The GMEI utility is the largest Global Legal Entity Identifier Foundation (GLEIF) accredited LEI issuer, representing approximately 50% of the total LEIs issued worldwide, and has issued LEIs to entities from over 200 jurisdictions across the globe. 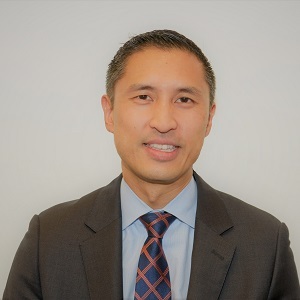 DTCC Connection sat down with DTCC’s Eugene Ing, Executive Director, GMEI Product Management, to discuss the impact of MiFID II on the industry and how the GMEI utility’s reduced pricing can help. Connection: How does MiFID II impact the industry as it relates to LEIs? Ing: Regulatory reporting changes mandated by MiFID II \ MiFIR, which is expected to go into effect in January 2018, support the expanded adoption of the LEI standard. These changes require that all legal entities involved in a trade, including the executing, submitting or transmitting firm, on both the buy- and sell-side, supply their LEIs in their European trade reporting. There are currently over 510,000 LEIs issued under the GLEIF system. Industry projections indicate that this this number will, at a minimum double and, in some jurisdictions increase by up to five fold after the new MiFID II requirements take effect. Connection: What is the GMEI utility doing to help clients as they prepare for MiFID II? Ing: With the pace of new LEI registrations and renewals expected to increase sharply, the GMEI utility has streamlined the registration and renewal process for clients on www.gmeiutility.org and reduced its pricing for registration and renewals to $100 USD per registration and $80 USD per renewal from $200 USD per registration and $100 USD per renewal respectively. In addition, the GMEI utility has also updated its systems and processes to facilitate the collection and validation of information on direct and ultimate parents, otherwise known as Level 2 Data, in support of MiFID II requirements taking effect in mid 2017. Connection: Can you talk to us about other recent developments and the GMEI utility’s global reach? Ing: On March 20, 2017, the GMEI utility received official accreditation from the Global Legal Entity Identifier Foundation (GLEIF). The GLEIF, is tasked with ensuring that the LEI remains the industry standard for providing open and reliable entity identification data and for evaluating the suitability of organizations seeking to operate within the Global LEI System (GLEIS) – as issuers of LEIs and custodians of LEI reference data. The GMEI utility was among the first LEI issuers to be endorsed by the LEI Regulatory Oversight Committee (LEI ROC), and is now among the first of what is known as “Super LOUS.” It continues to operate as the largest LEI issuer as measured by total LEIs issued worldwide. In terms of global reach, the GMEI utility’s Local Registration Agents include, NordLEI and SIX SIS Ltd. in Europe, as well as CUSIP Global Services (CGS), TMX's Canadian Depository for Securities (CDS), and MERSCORP Holdings in North America. By partnering with these organizations, the GMEI utility extends LEI issuance and renewal into existing workflows to further streamline processes for its clients. Additionally, its non-US based Registration Agents provide jurisdictional guidance on regional LEI mandates, local language support and local currency payment options. Connection: Where can I learn more about the GMEI utility? Ing: Clients looking for more information on the GMEI utility, how it is helping firms prepare for MiFID II or additional bulk discounts should visit www.gmeiutility.org or contact our Customer Service Team at customerservice@gmeiutility.org.